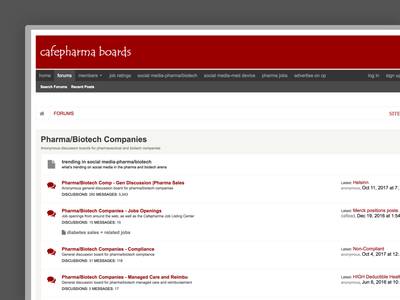 CafePharma is a community for pharmaceutical and medical professionals focused on such topics as pharmaceutical, biotech, animal health, and dental. 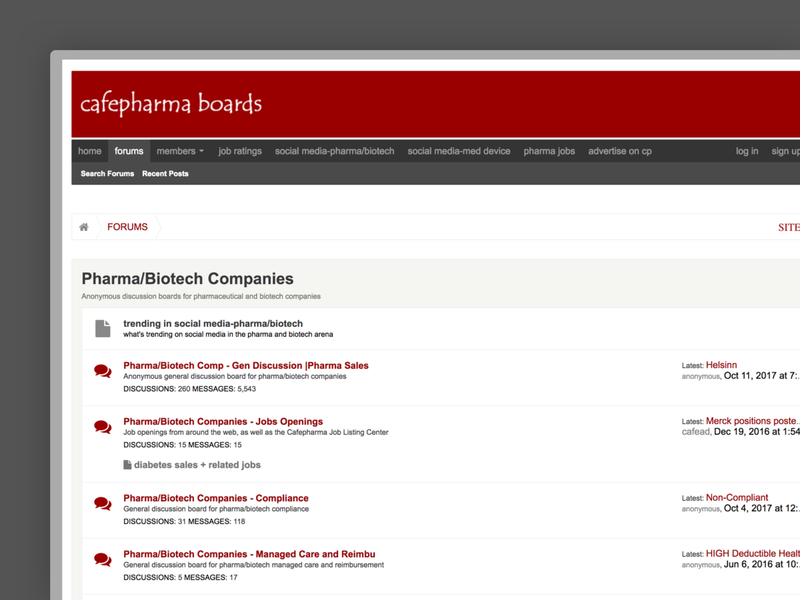 CafePharma is primarily a news and job center for pharmaceutical and medical professionals but the client wanted to reach out to the community more by creating a forum. We were tasked with creating a forum that matched the established style of their mainsite.